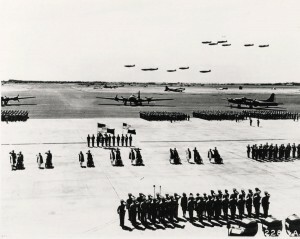 Purple heart ceremony, Hickam Field, April 2, 1942. 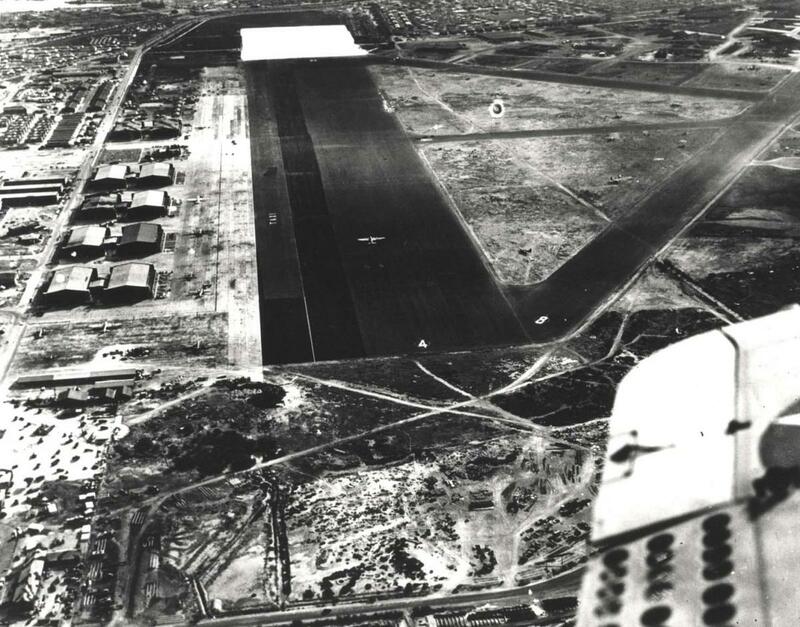 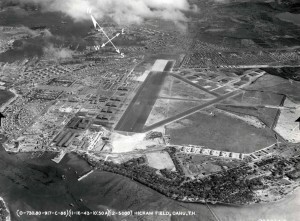 Hickam air field, August 1942. 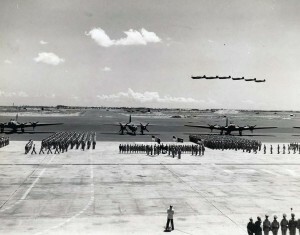 Mass awards ceremony at Hickam Field in which 7th Air Force awarded medals to fliers who participated in Battle of Midway. 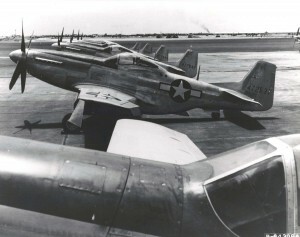 Flying overhead are P-40E aircraft. 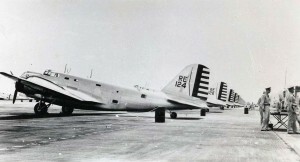 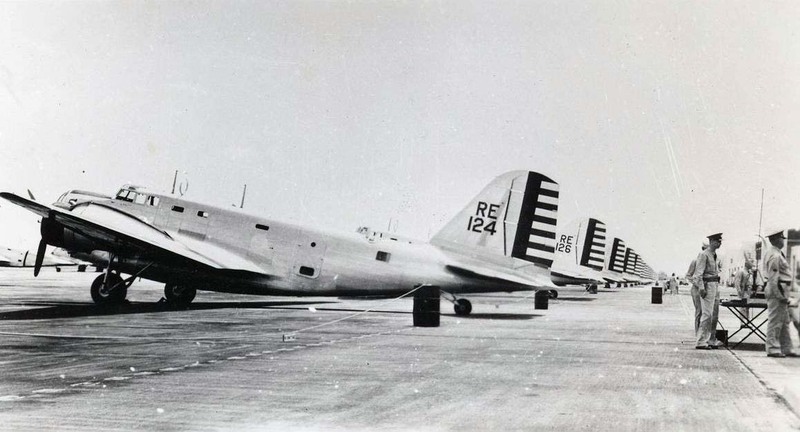 Parked on flight line are B-17s on each side of a Martin B-26, September 17, 1942. 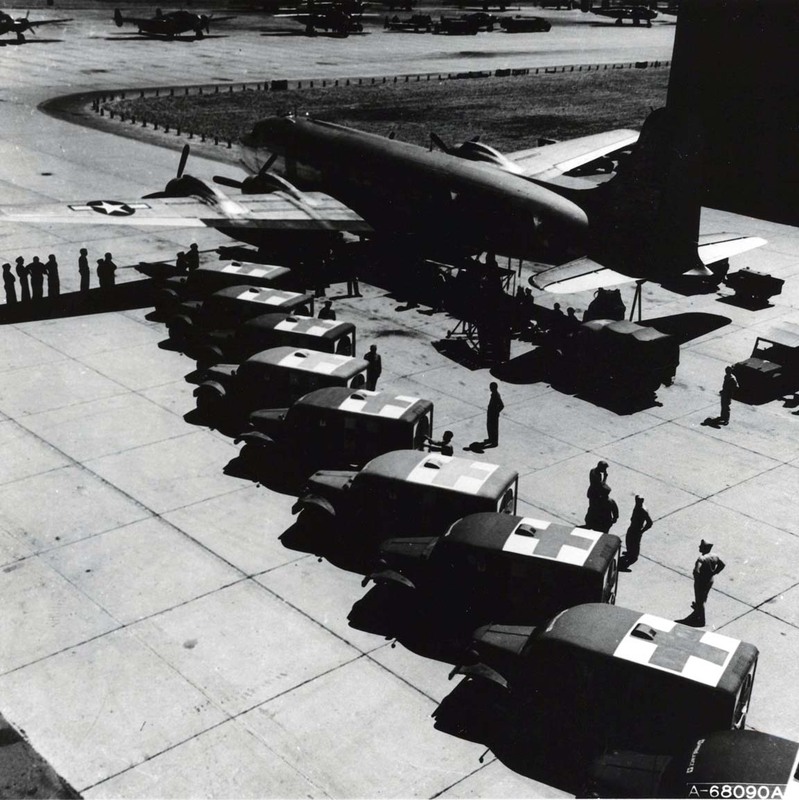 Ambulances line up near DC-54 at Hickam Field to transport patients to Tripler Army Hospital, 1942. 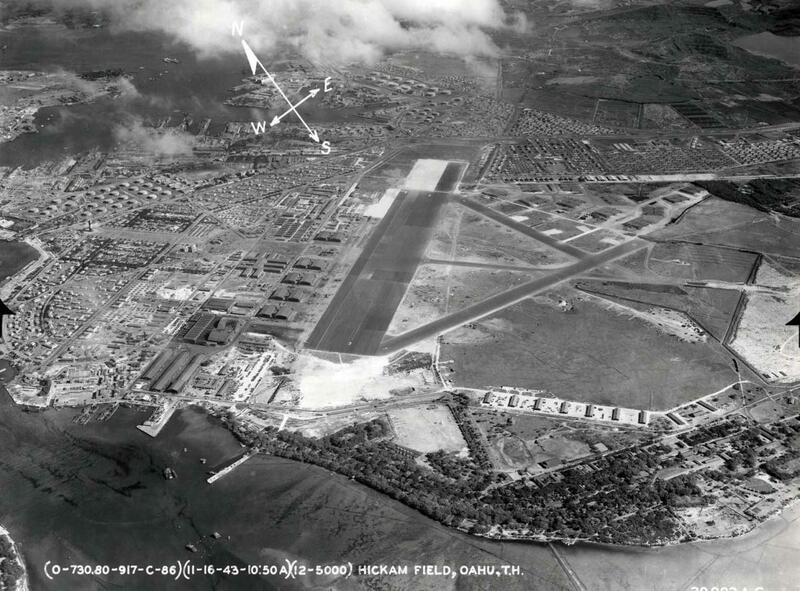 Hickam Field, November 16, 1943. 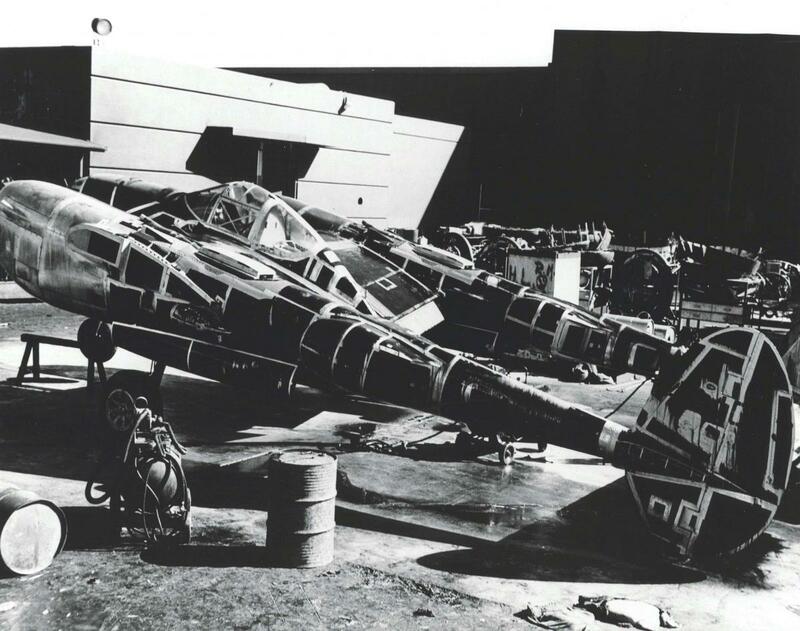 Maintenance of Northrup P-61 Black Widows at the Hawaiian Air Depot, Hickam Field, April 19, 1944. 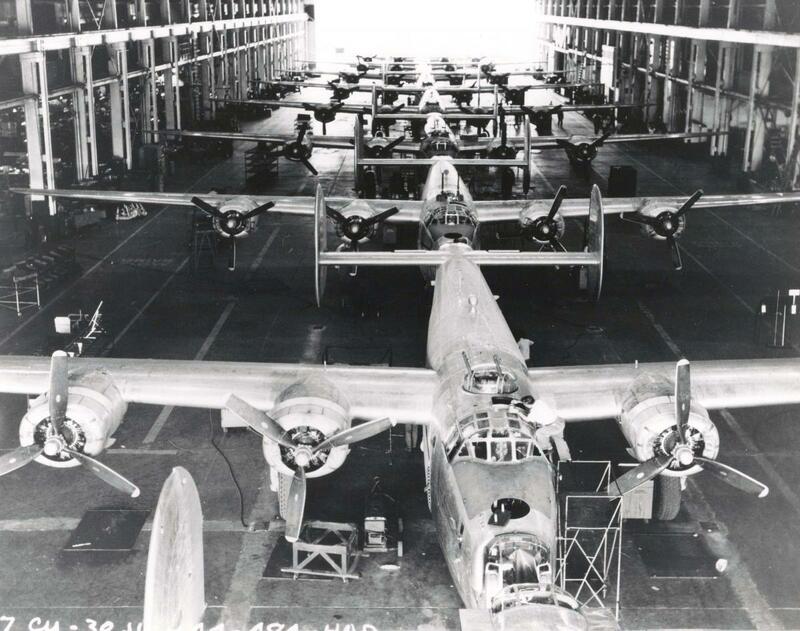 B-24J Liberators inside a maintenance hangar at Hickam Field, Hawaiian Air Depot, July 30, 1944. Lockheed P-38 Lightning aircraft before their wings and engines were installed, August 1944. 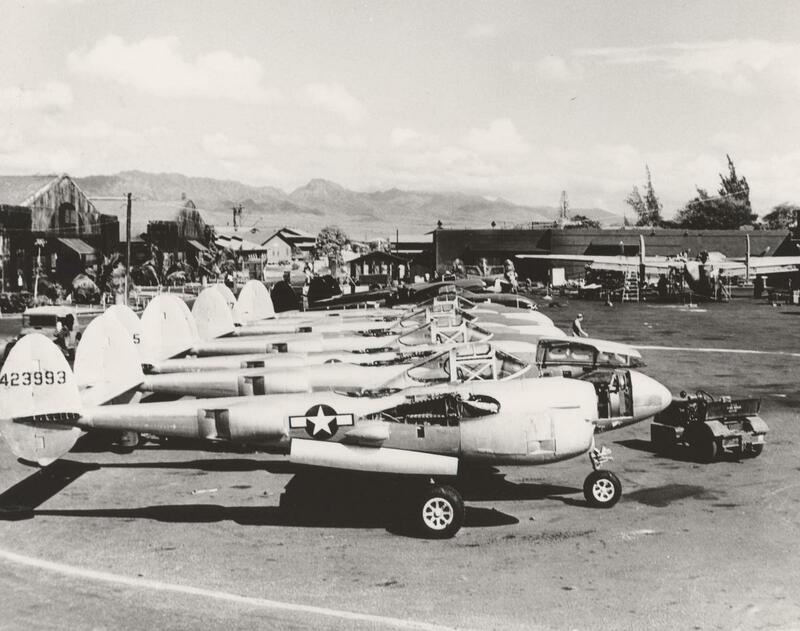 Lockheed P-38 Lightning after being cleaned at the Hawaiian Air Depot, Hickam Field. 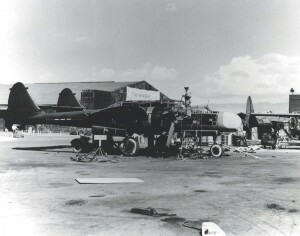 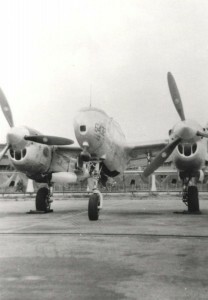 Engines and wings have not been installed, August 1944. 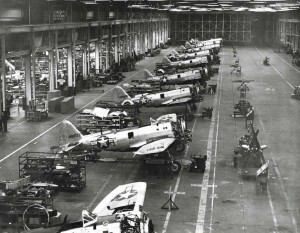 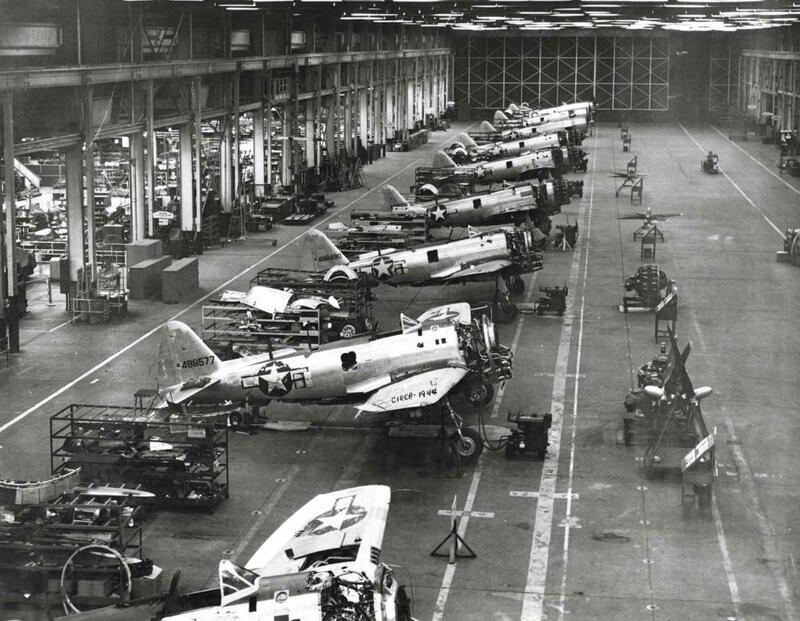 P-47 aircraft in Hickam Field hangar, 1944. 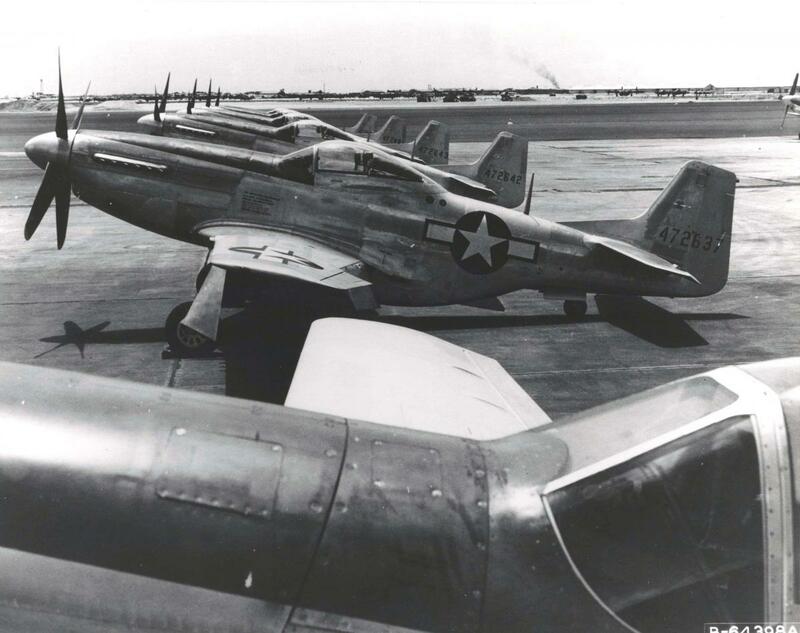 North American P-51 Mustangs on the flight line at Hickam Field, April 26, 1945. 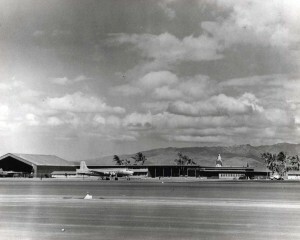 Air Transport Command building at Hickam Field, 1945. 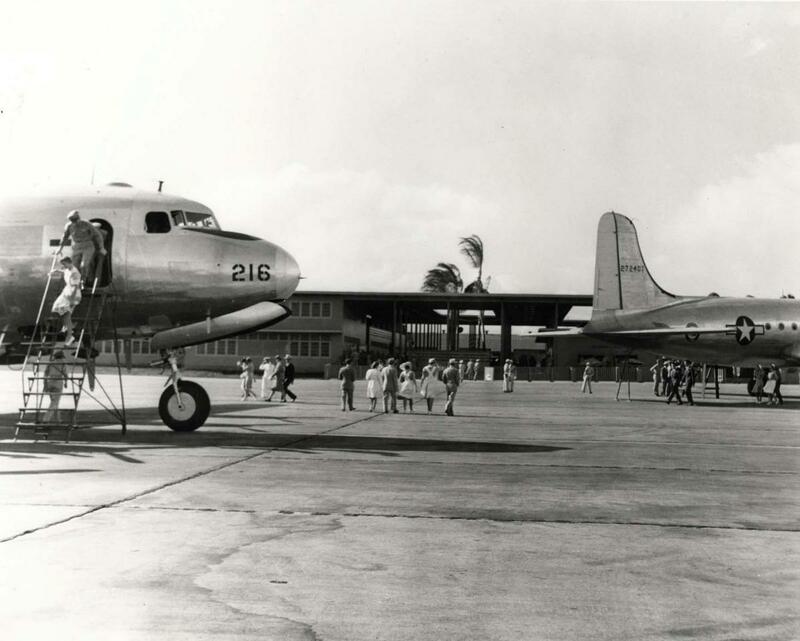 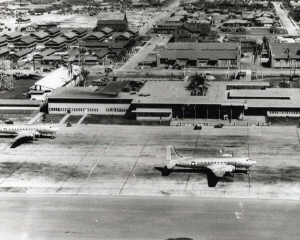 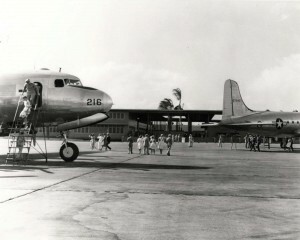 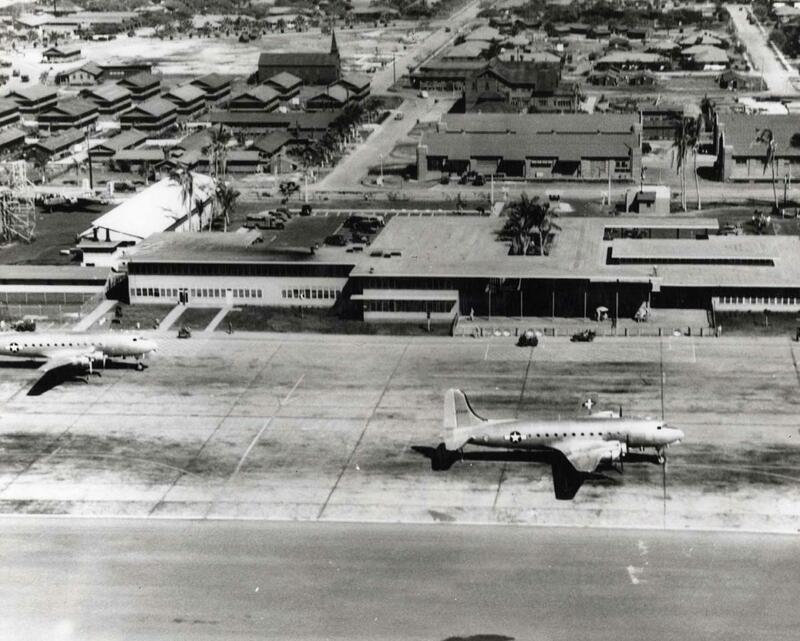 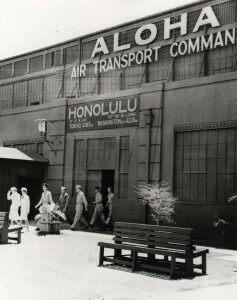 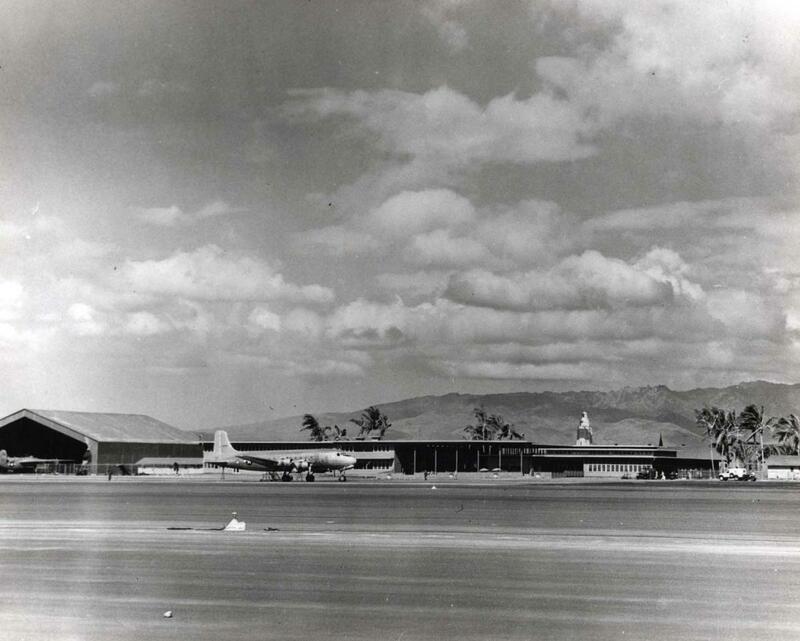 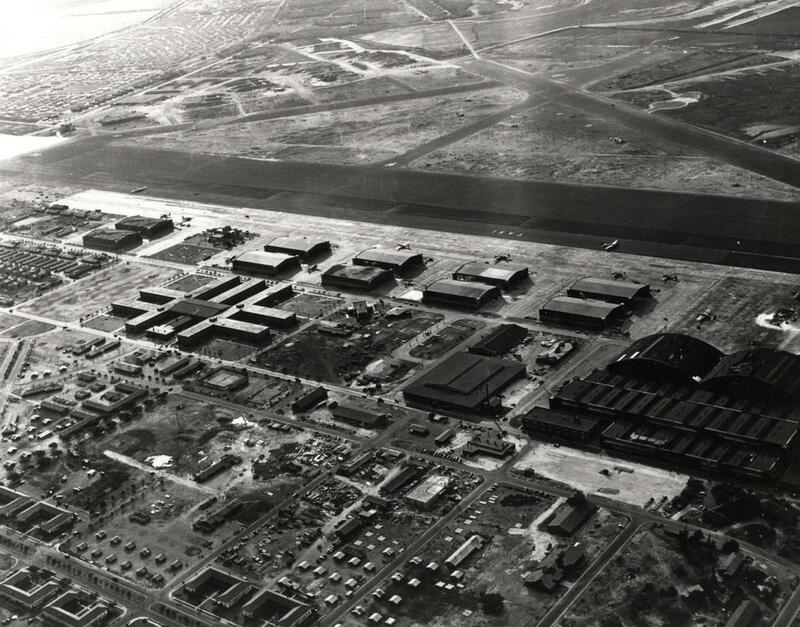 New Airport Transport Command Terminal constructed at Hickam Field at a cost of $152,095 in 1945. Hickam Air Transport Command Terminal, 1945. 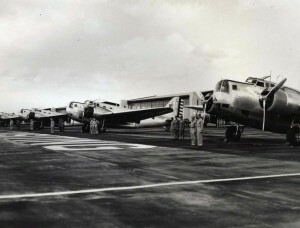 C-46 in front and C-47, C-78 and B-25 in background, Hickam Field, 1945. 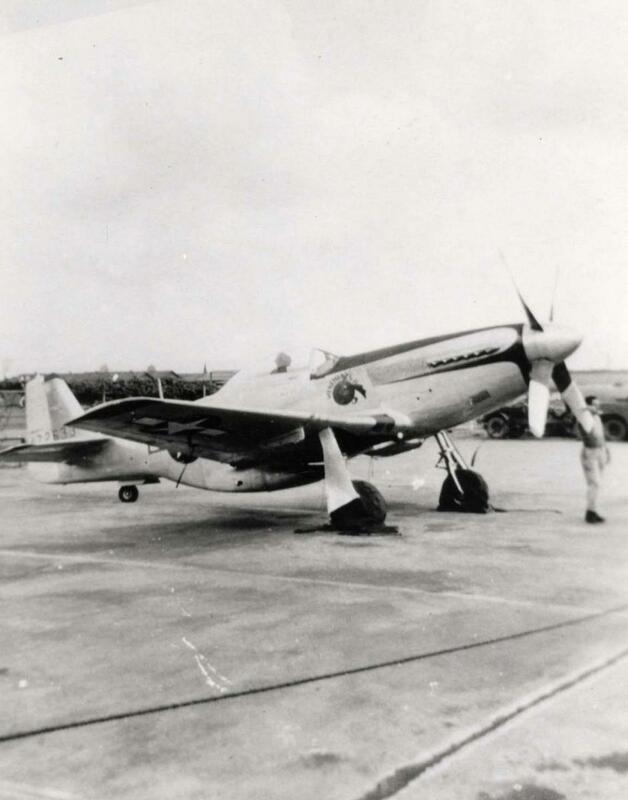 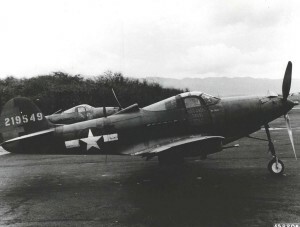 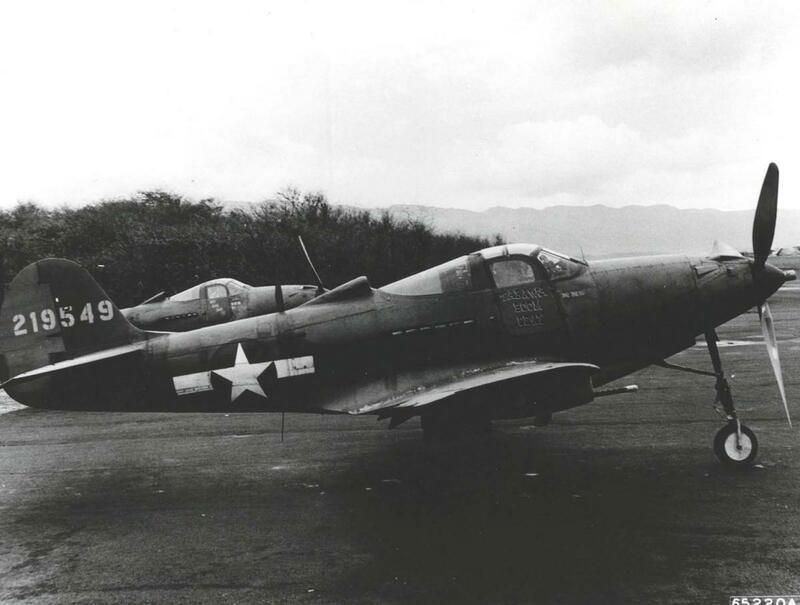 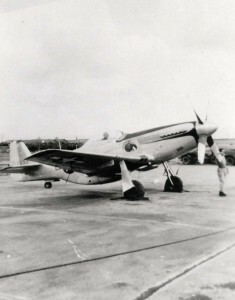 Bell P-39 Airacobra "Tarawa Boom Deay" at Hickam, 1940s. 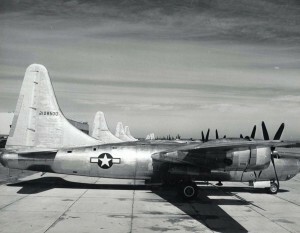 Convair B-32 Dominator stationed at Hickam Field, 1940s. 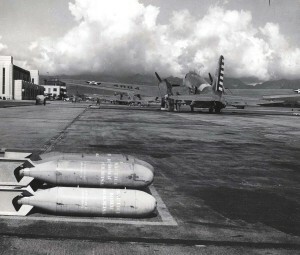 Bombing planes line up on the apron at Hickam Field. 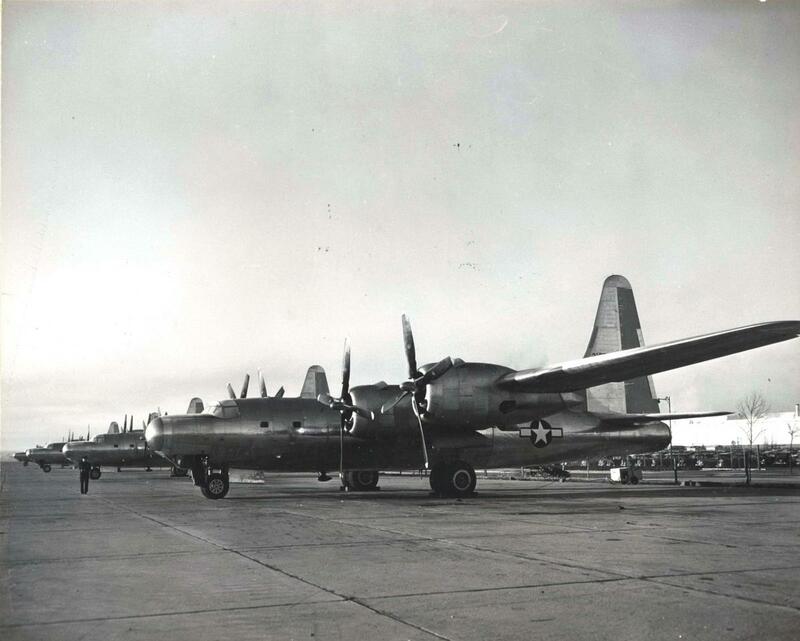 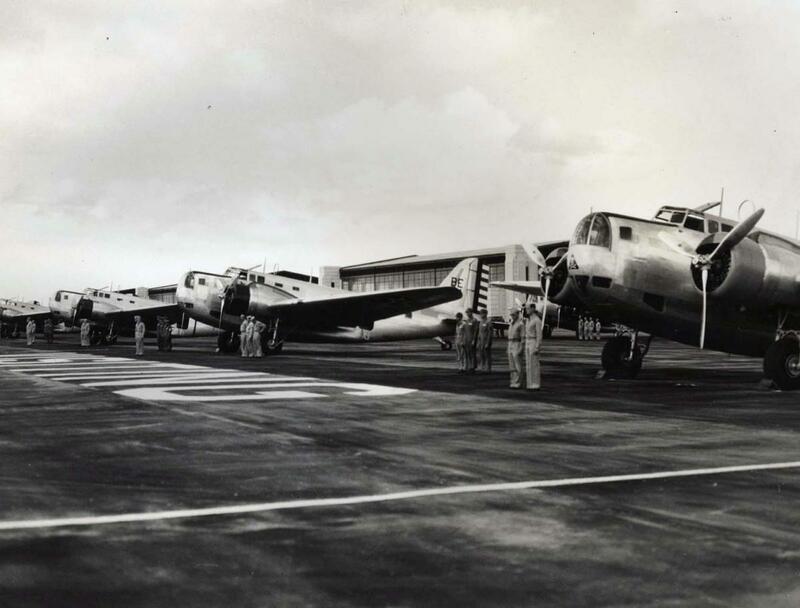 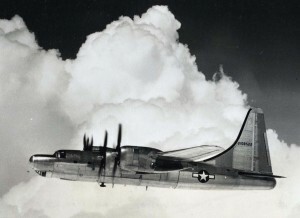 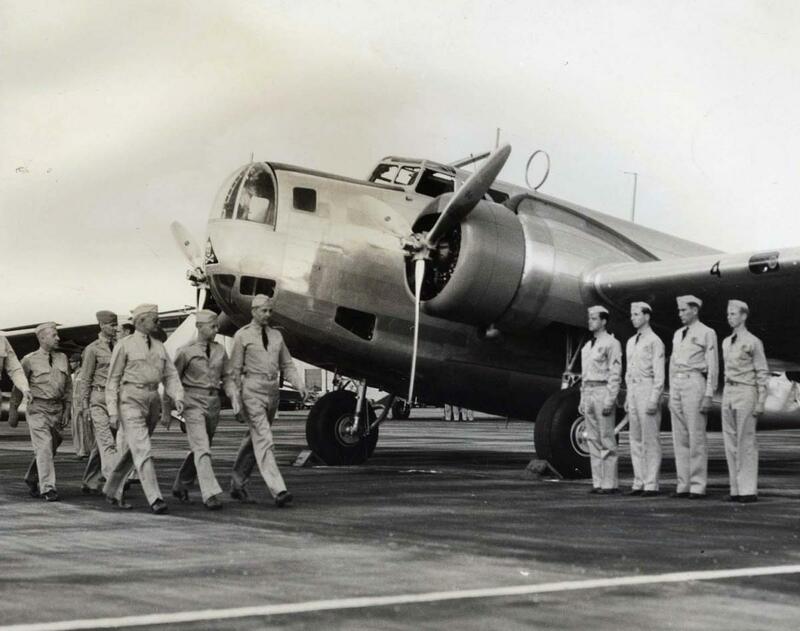 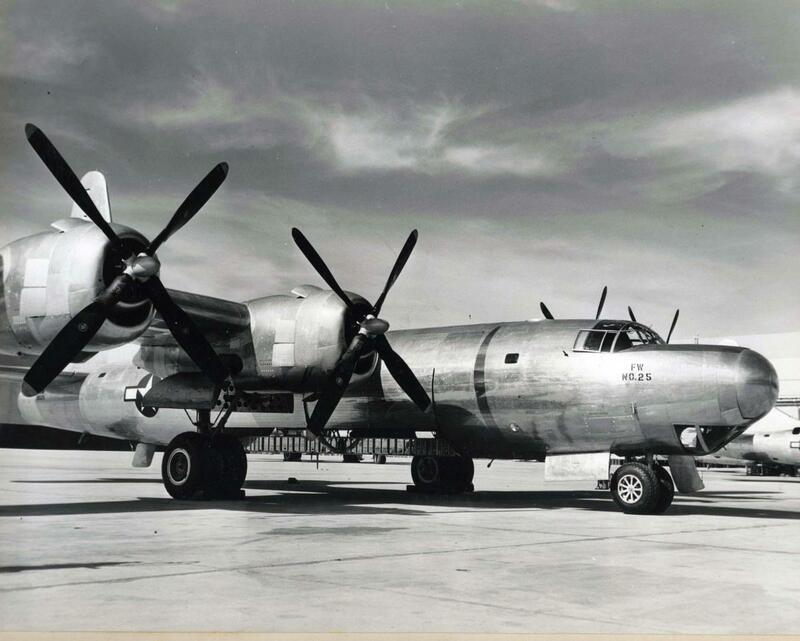 Army's powerful 2-engine bombers on the line for inspection at Hickam Field. 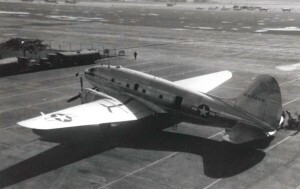 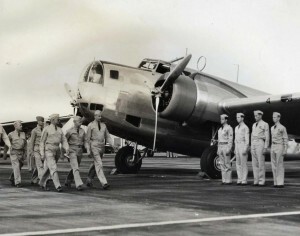 Douglas B-18 at Hickam Field, 1940s. 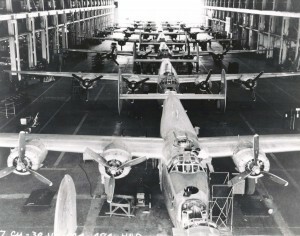 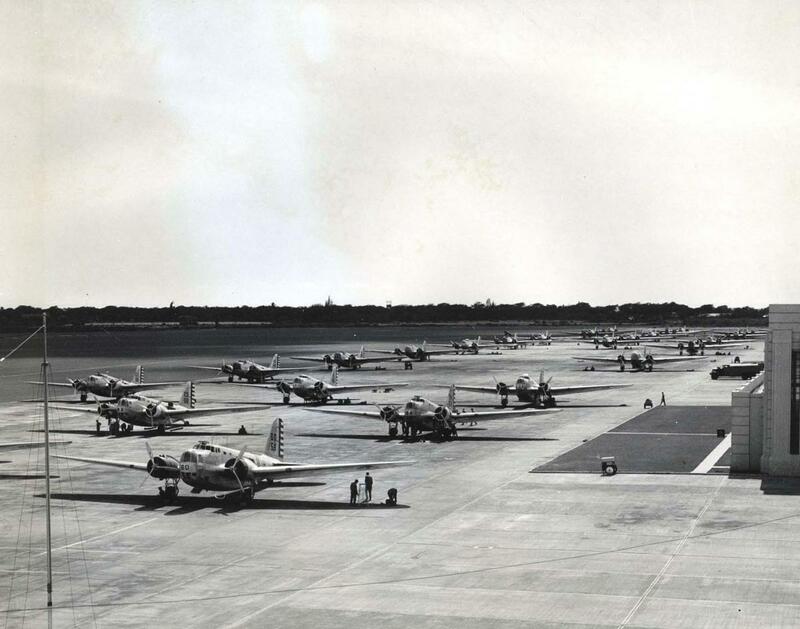 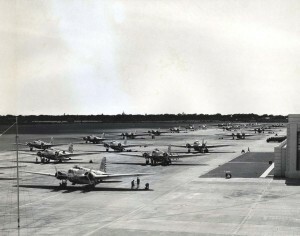 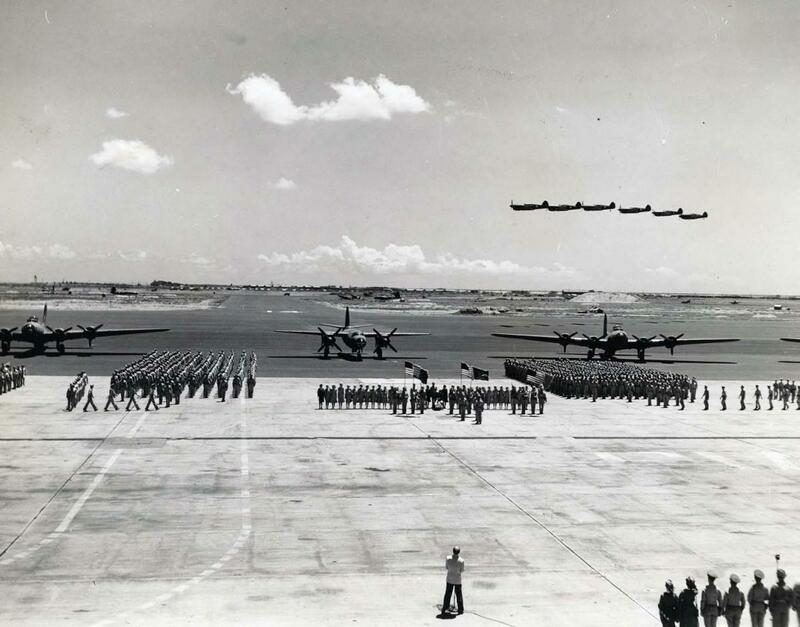 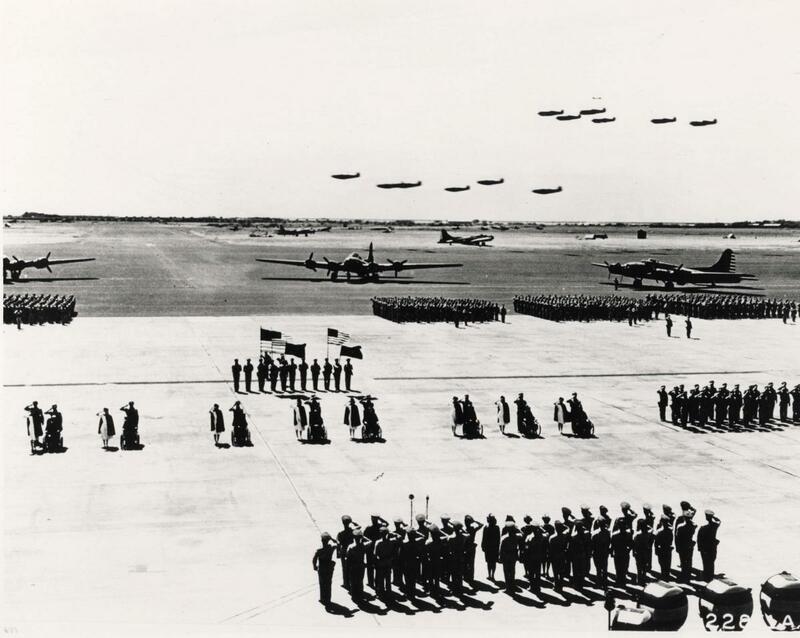 Army's powerful 2-engine bombers on the line for inspection at Hickam Field by Brig. Gen Walter Frank of the 18th Wing. 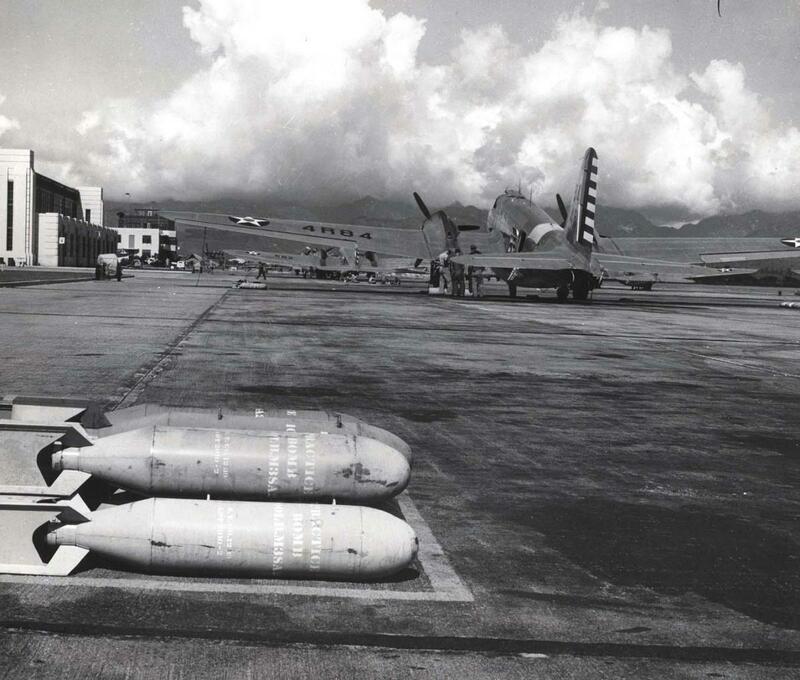 Practice bombs at Hickam Field.